I tried a thing today. So, it’s a thing, apparently, to put fruit in the middle of your French Macarons. And so, I snagged a box of my favorite fruit and started baking. 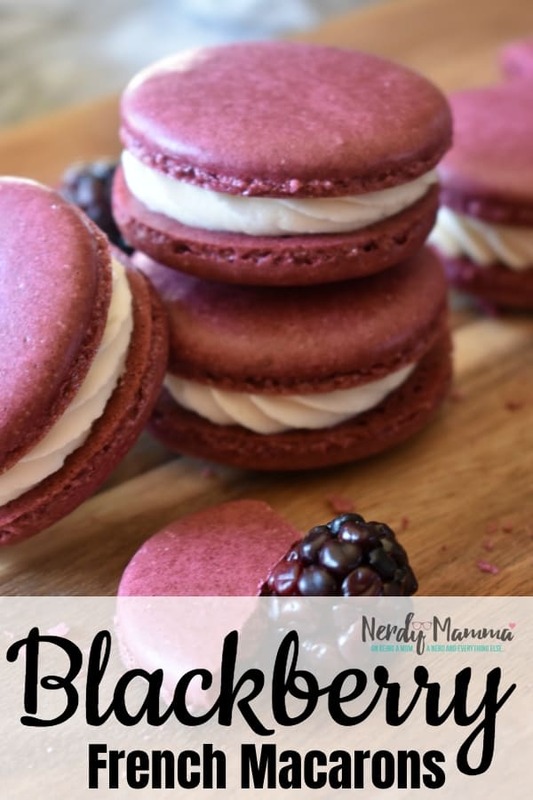 This resulting Blackberry Macaron Recipe is so freaking amazing, easy, and, ridiculously silly…I just can’t be more happy. That’s the little blackberry in the middle. And that bite was alllllll mine…. Now, the real trick to this recipe is to weigh the ingredients. Which, I know is so not the makings of an “easy” recipe. But it’s a more exact way to measure your portions and so, for a potentially finikey recipe like this, weighing only makes sense. Since I didn’t have one for anything else EVER, I got this really simple-to-use digital scale with a flat face–you know because less edges equals less I have to clean up when I make a mess. LOL! But not a lot of things. Just a couple. 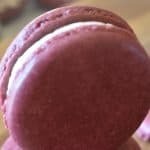 So, if you’re digging this amazing Blackberry Macaron Recipe, get your pin on, then order your scale–because this is about to get fantastic up in your mouth. Dude. 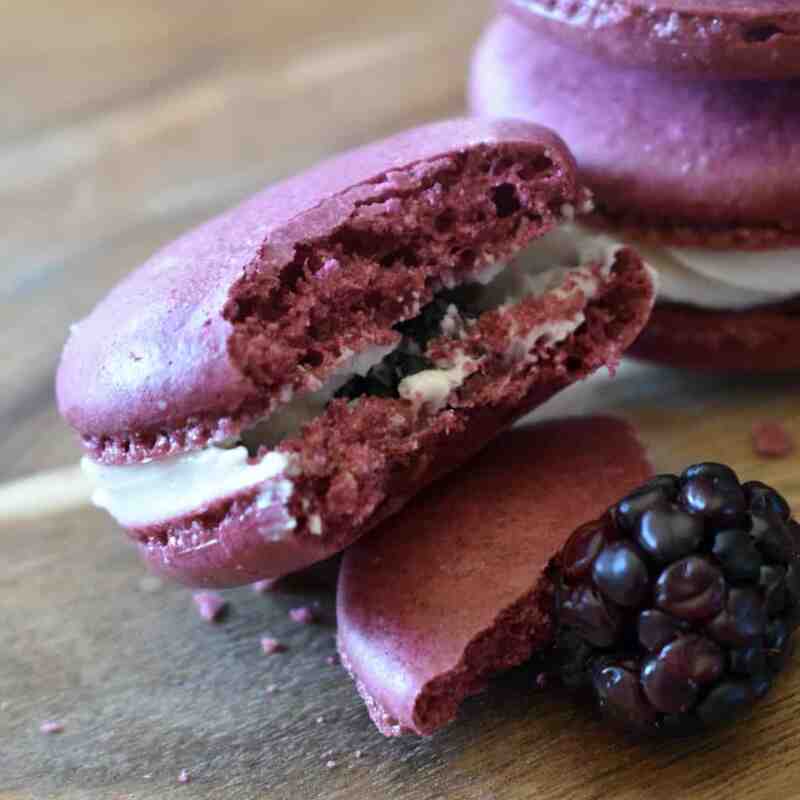 This Blackberry Macaron Recipe is so easy. And the flavor. These little cookies are going to be the death of me. But a happy death. 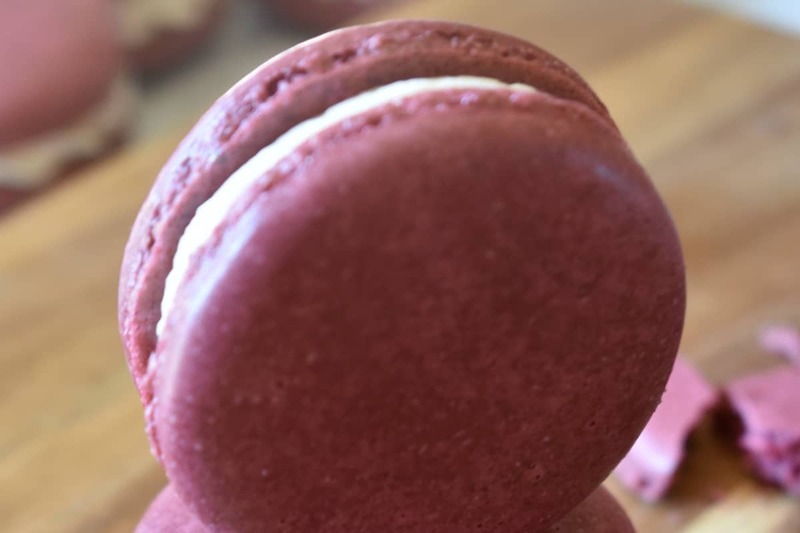 Once the ganache is ready, place in a piping bag with a star tip, and pipe a generous amount on half the macaron shells. Add half of a fresh blackberry in the middle of the ganache.